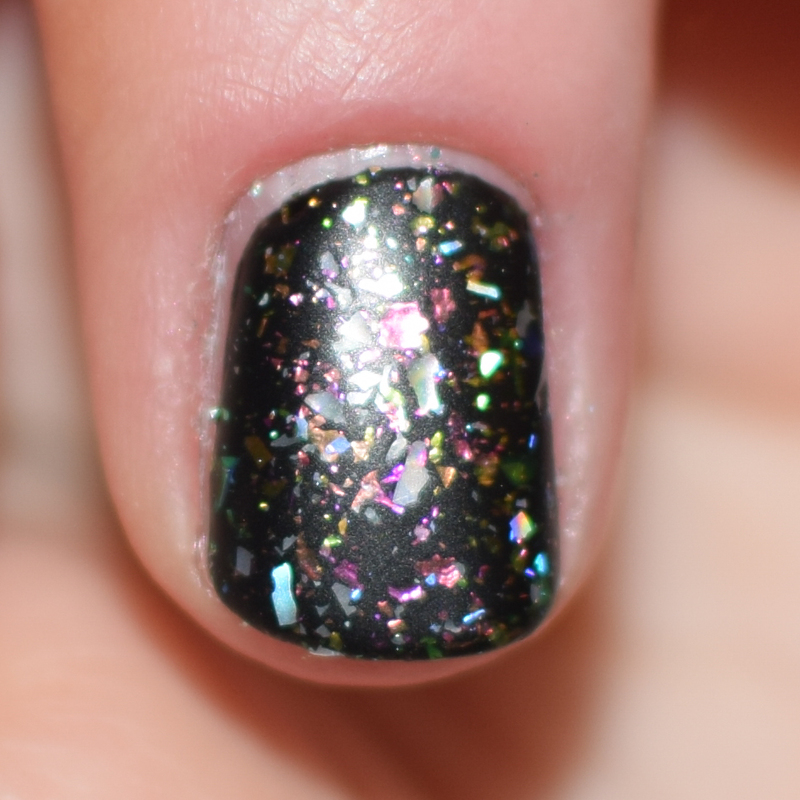 Recently, I was sent these Chameleon Holographic Flakes from Born Pretty Store to try out. 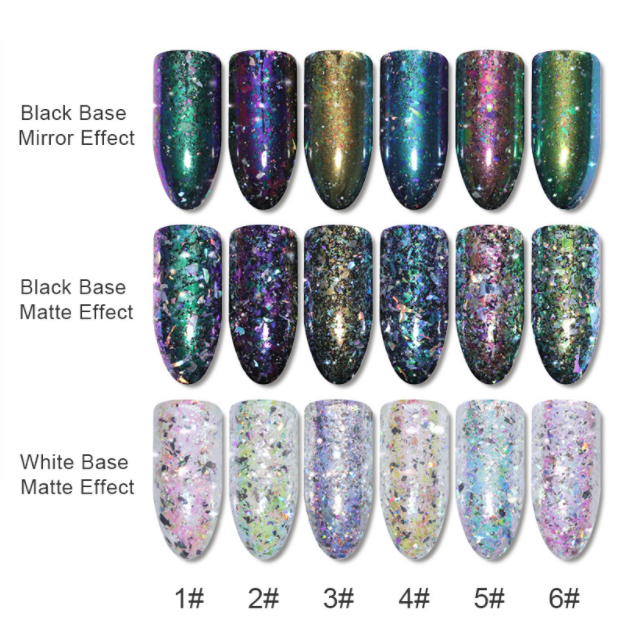 I got them in shade number 3, but there are 6 different colours to choose from on their store. These flakes are so pretty, and when I opened the little gar they came in, I was completely mesmerised by the sparkly-ness. So the Born Pretty Store website's instructions all include using gel polish and curing the base, but I don't use gel polishes, so I am used regular polishes. The instructions also described a couple different ways to use the flakes, being a mirror finish and a matte finish, the way I'm using them in the video and the swatches is the matte finish. 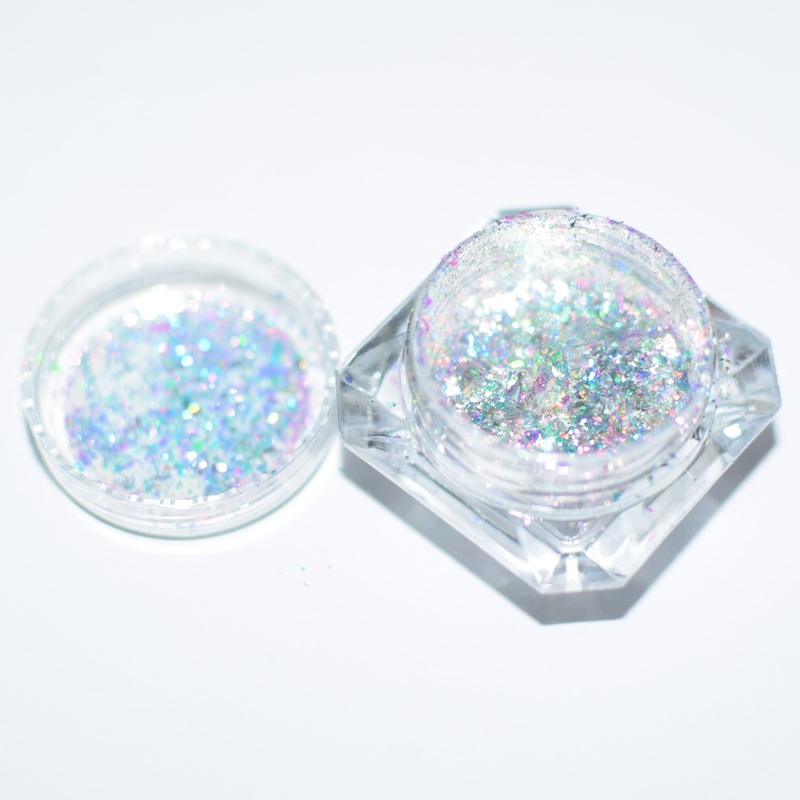 The flakes come with a small eyeshadow brush to use in applying them. 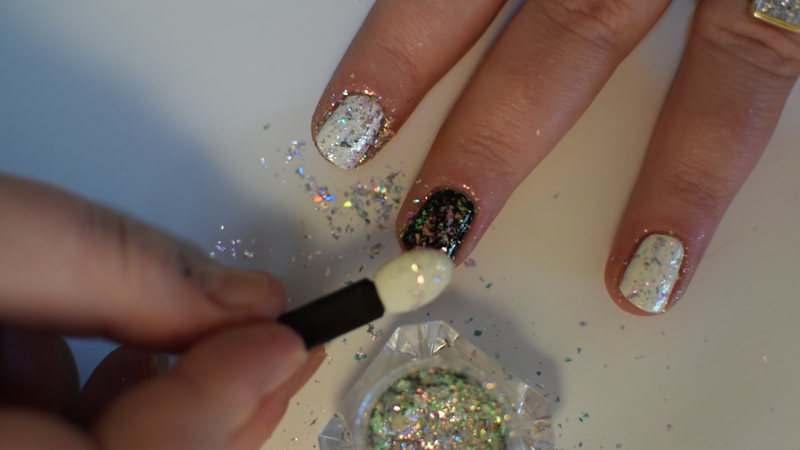 They are so simple to apply, I literally just scooped some flakes out of the pot with the brush and patted them onto my nail. The stuck pretty well to the nail, but I did find that I was being a little fussy with the placement of the flakes, as the brush did occasional pick up some of the flakes back off the nail. But they were super quick to apply even with my faffing around. For the clean up, and this is the only thing that I hate about doing my nails, especially when glitters or powders are involved. I started by dusting off as much excessive as I could with a q tip in between coats. After finishing my nails I washed my hands with soap and water before taking the final swatch photos, and the excess did come of my hand pretty easily, but you may end up with some glitter on your clothes or the surface you have your hands on. So I did one layer of the flakes and then after dusting them off, I did a second, I didn't apply any top coat between layers but you totally could to avoid moving any flakes from the previous layer. And finished off the nails with a glossy top coat. I think the final result is absolutely stunning. 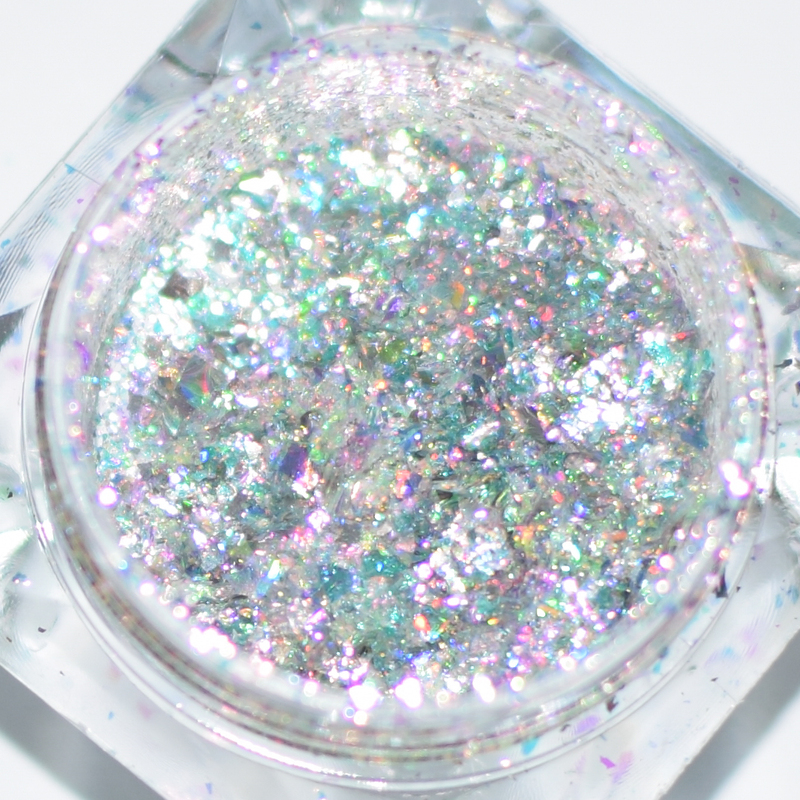 The flakes are so pretty and reflect so many colours, which I think looks much better over darker polish than lighter polish, but it does have a nice subtler look over lighter polish. You can buy these flake here! !